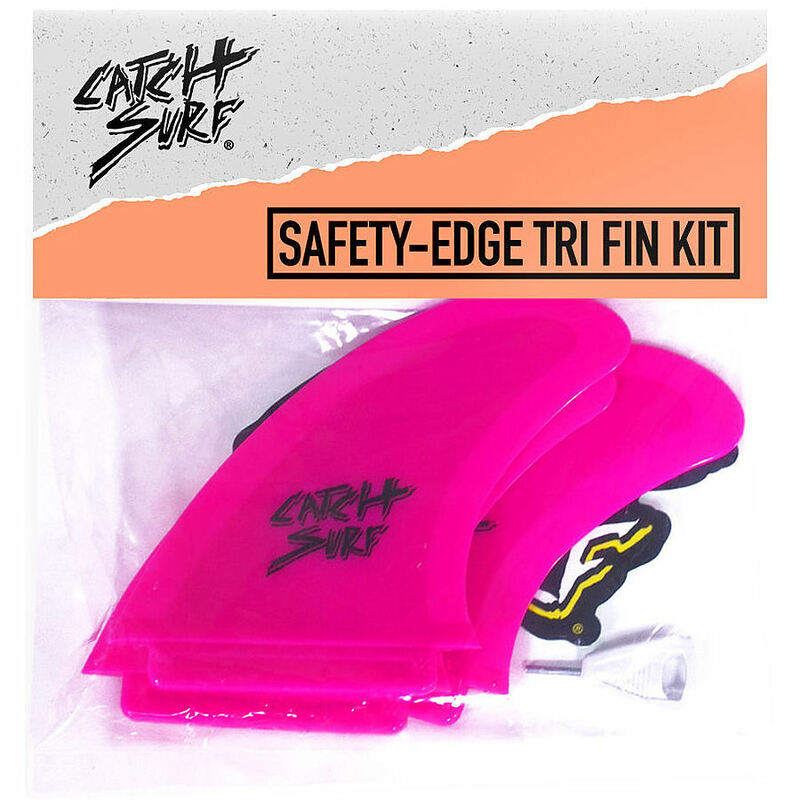 5	stars -	"Review for Catch Surf Safety Edge Tri Hot Pink Fin Kit" Mark Taylor This Catch Surf Safety Edge Tri Hot Pink Fin Kit is the best Catch Surf I have tried. Offers a safer fin option to convert your Odysea Stump Thruster into a shore-break machine! Stiffer inner core with soft rubber edge. Includes three 4.5" safety-edge fins, fin key, and C/S sticker. Designed in California, U.S.A by Catch Surf. *note: all fins in pack are the same - THIS KIT ONLY WORKS WITH ODYSEA STUMP; NOT LOG.